Bratislava, as the capital of Slovak republic, is the largest city in Slovakia and is the industrial, administrative, cultural and university centre. 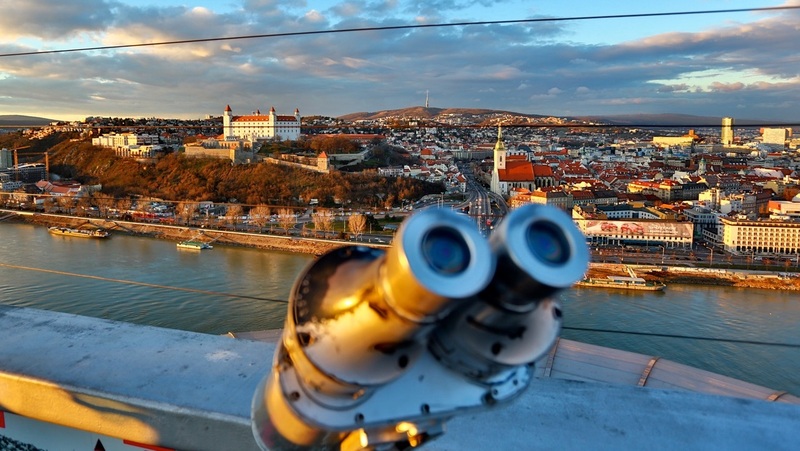 The new Mayor of Bratislava, Matus Vallo, and his administration has a plan to create a transparent, liveable, modern, accessible and innovative city. Looking into the future, the new administration wants to leap frog towards proactive services for citizens and stakeholders, closely cooperate with business, academic and third sector to develop a modern city adhering to the principles stated in the UN Sustainable Development Goals. Increase connectivity to public Wi-Fi, improve e-government services and increase accessibility of our web and digital services to create a communication channel with citizens. Develop mechanisms to process data in a secure and fast way to improve lives of its citizens, including open data standards and data exchanges. Create and implement processes that increase transparency and give opportunities to various stakeholders to participate in the city governance, including innovative procurement, experimentation and testing of new technologies and processes. Build an ecosystem of stakeholders and create participatory and collaborative tools. Drive close cooperation with business and academic stakeholders through joint projects and initiatives to solve city’s most pressing issues. Develop and enhance citizen engagement and participation through forums, stakeholders groups, education and citizen projects in sustainable city development. Build regional and international networks exchanging best practices.